If you're looking to buy a watch that looks great and will hold its value (or, potentially even rise in value), you've come to the right place. It's a question we've heard often: what watch brands will increase in value over time? There's a short and simple answer: Rolex or Patek Philippe. But there's also a longer version, which we've answered here with the help of Rox Jewellers. Rox has recently carried out some research into the art of luxury watchmaking, with an aim to highlight the sheer level of effort and craftsmanship that goes into creating the world's most sought after timepieces. It identified three pillars of watch investment: brand recognition, demand, and rarity. Taking these three pillars into account, and with advise from watch experts and industry professionals, Rox created a list of the five best watches to invest in right now. A new addition to the Heritage Black Bay family this diver's watch in stainless steel draws its characteristic elements from Tudor's history. Fitted with Tudor's MT5602 self-winding mechanical movement with bidirectional rotor system, with power reserve of 70 hours. "Stick to the classic pieces that people will always want and you'll have a watch that, 10 years down the line, will recoup the majority of your initial outlay. Tudor's recent phoenix-from-the-ashes revival was spearheaded by the gorgeously but not slavishly retro-styled Black Bay. Now it's fitted with an in-house movement and always in steel, rather than precious metal (flamboyance is inversely proportional to successful investment!) It's already a classic that feels like it's always been around." 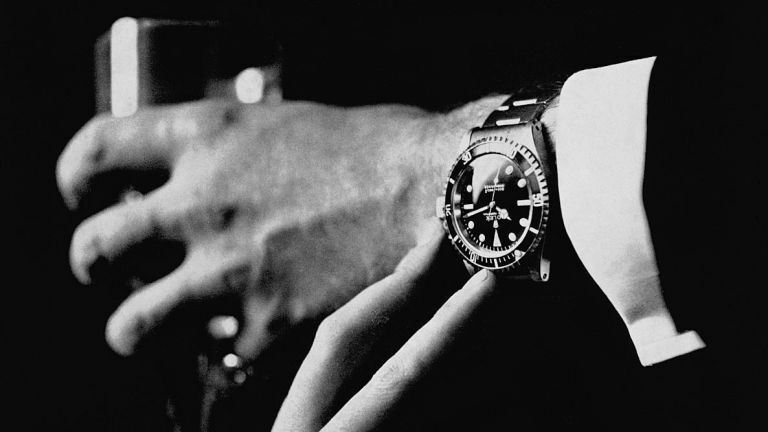 The iconic Rolex Submariner is one of the most successful diver’s watches in history. The Rolex Manufacture 3135 movement is housed in a 904L stainless steel case which is waterproof to 300 metres (1,000 feet). "Rolex's steel sports watches are a surefire investment, you never see examples older than two or three years selling for less than what they originally cost. That's because Rolex is the ultimate luxury watch brand, their Submariner was the pioneering diving watch of the 1950s and you can wear it every day with everything." The Royal Oak is made up of 280 parts and 40 jewels, this watch is powered by a self-winding manufacture calibre 3120 movement and has a 60-hour power reserve. "The Royal Oak has barely changed since 1972 and for good reason - its designer Gérald Genta's octagonal case and integrated bracelet was spot-on from inception. That sort of integrity will come to bear in a lifetime's value, both sentimental and monetary." This Seamaster 300 has a sand-blasted black dial with rhodium-plated hands coated with "vintage" Super-LumiNova. The polished ceramic bezel ring has a Liquidmetal diving scale, and the transparent caseback makes it possible to see the anti-magnetic OMEGA Master Co-Axial calibre 8400 within. "Buy into James Bond's model of choice and you'll be buying into a brand that's increasing in resale value faster than anyone else. What's more, if you look hard enough, you'll still be able to find the quartz version of the Seamaster, which is being phased out very soon. Discontinued watches are very collectable and you will undoubtedly reap more on the vintage market than what you sowed at retail." The Panerai Luminor Base features a hand-wound Panerai OP I calibre, with a 56 hour power reserve. It's designed it Italy, but made in Switzerland. "Panerai's chunky, cushion-shaped watches are a modern cult phenomenon and one of the best investments you can make. Panerai has a fantastic collector base and, even if it's just to make a slight change, every model is limited, so whatever Panerai you buy will become a collectable soon enough."